Home » Information Centre » Moving Forward…Together! 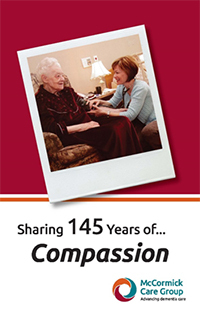 It has been a busy and exciting year at the McCormick Care Group. In the fall, we were pleased to welcome new Minister of Seniors Filomena Tassi as well as MP Kate Young and MP Peter Fragiskatos who were interested in visiting our facility. Minister Tassi was eager to hear from our residents, families and caregivers on issues of concern to seniors living in long-term care and in the community. We are grateful to Minister Tassi for her interest in learning more about the specific challenges facing seniors, particularly those who are living with a dementia diagnosis, and the ways we can enhance their quality of life. We look forward to sharing the results, which will help inform our best practices in delivering enhanced dementia care to our residents. Is It the Disease or Something Else? Recently, we provided a review of our organizational achievements for year two of our current three-year strategic plan called Moving Forward…Together! We are extremely pleased at the dedication and support shown by our staff members and volunteers, who are key ambassadors in making our strategic plan come to life. In the days ahead, I look forward to sharing more with you on our continuing progress as well as our efforts to develop our next three-year plan. And with the start of the new year, we are honoured to be celebrating 145 years of serving the London community. In 1874, the Women’s Christian Association was formed for the distribution of charity and the care of the poor and the sick. Today, as the McCormick Care Group, we are proud to continue the legacy established by our pioneering founders as we focus on improving the quality of life for those living with a dementia diagnosis. 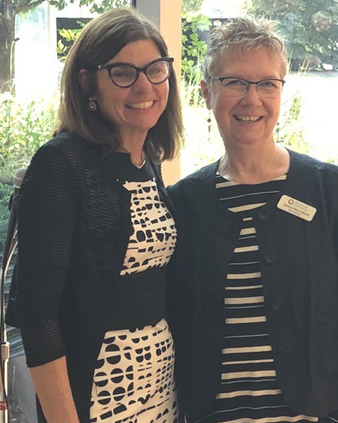 Federal Minister of Seniors Filomena Tassi (left), pictured here with McCormick Care Group Board Chair Janice McCallum, visited McCormick Care Group to meet with residents and caregivers to learn more about senior and dementia care needs.